Welcome to the step by step guide on how to acquire the current RF uniform. This page will be frequently be updated as we change and adjust our uniform. The RF uniform is what we always wear to events unless there a specific costume was announced for the event. The RF uniform is pretty simple and consists of the Blue Roman Helmet, the Red Electric Guitar, the Skeleton Costume, the Dark Vision Goggles, the Red Cape and black colour. What shoes you wear, what background you use and what pin you equip is completely up to you! Alright, the first item on the list is the Blue Roman Helmet. This helmet can be found on the 13th page of the penguin style catalogue. 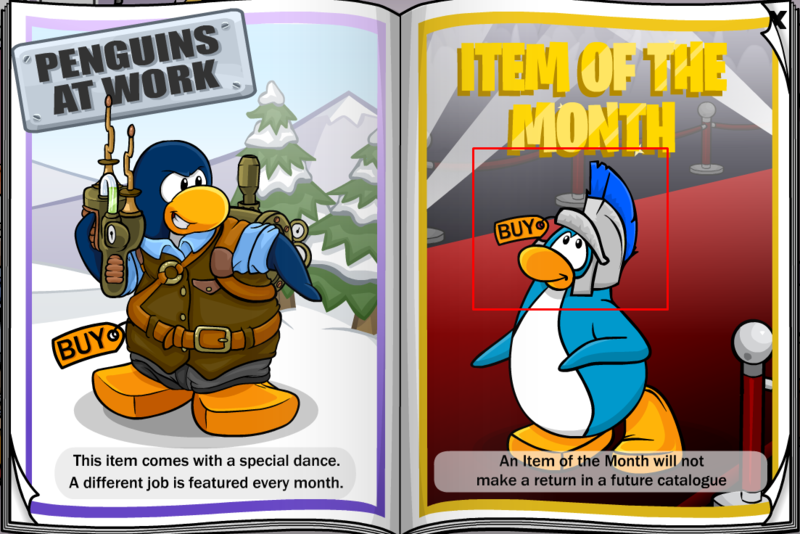 It is currently the item of the month and costs 1400 coins. The second item on the list is the Red Electric Guitar. The Red Electric guitar can be found in the music catalogue at the lighthouse. 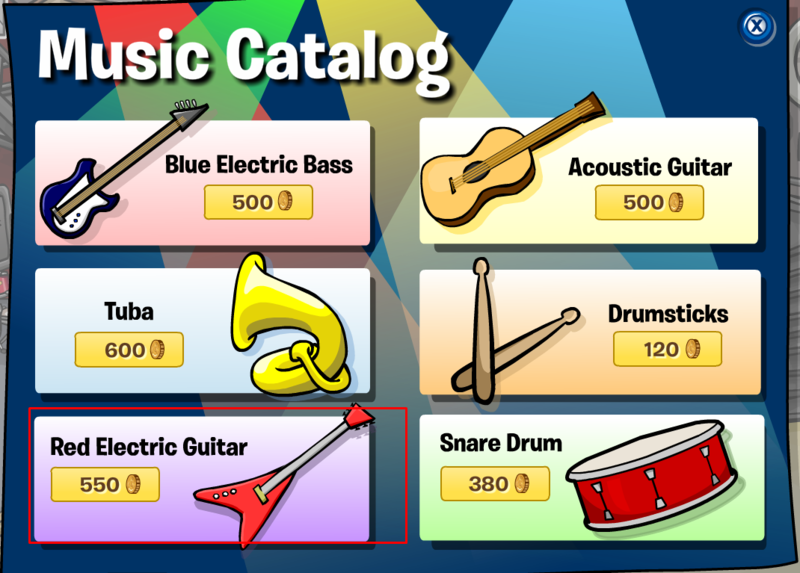 The red electric guitar costs 550 coins and is a hand item. The next item you need is the Skeleton Costume. 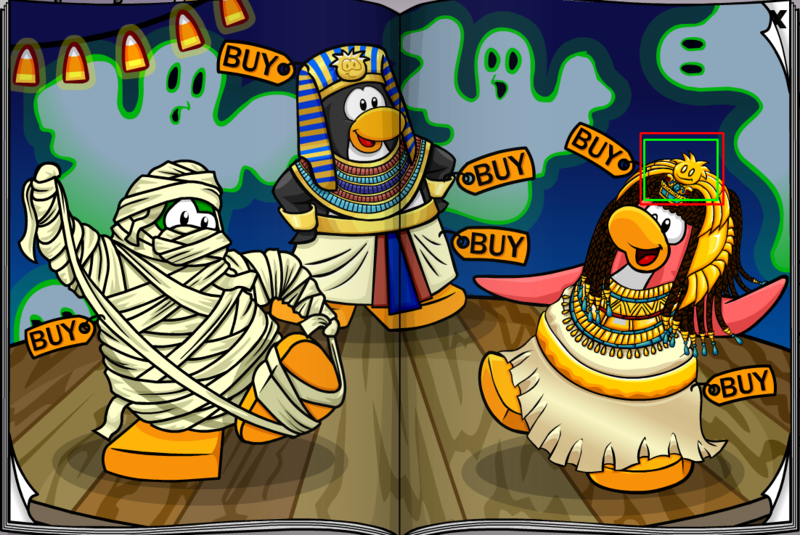 The Skeleton Costume is hidden on the fourth page of the penguin style catalogue on the golden puffle located on the headdress of the pink penguin. 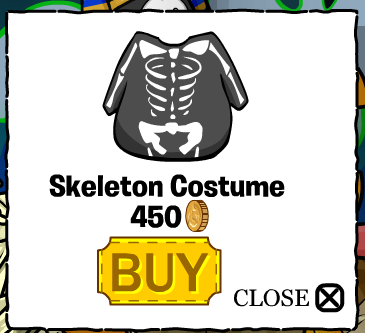 It is a body item and costs 450 coins. The face item is a bit more difficult to acquire. The Dark Vision Goggles are located in the F.I.S.H (Factual Informative Spy Handbook) and cost 1000 coins. 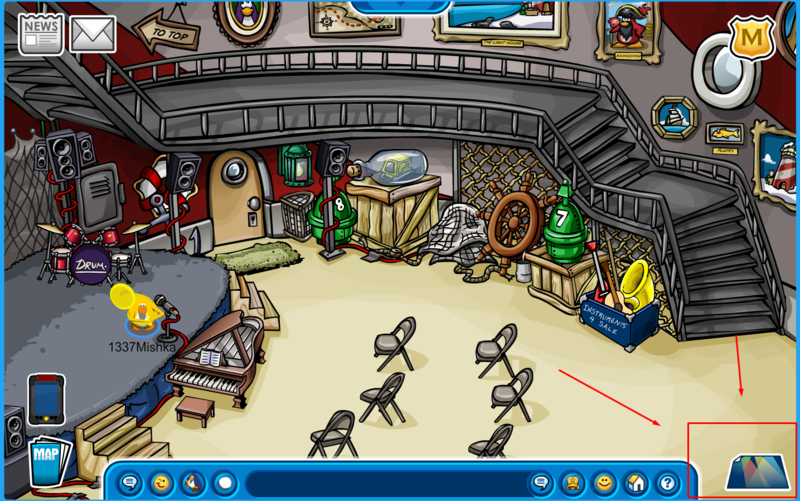 To find the F.I.S.H you have to be an EPF Agent. 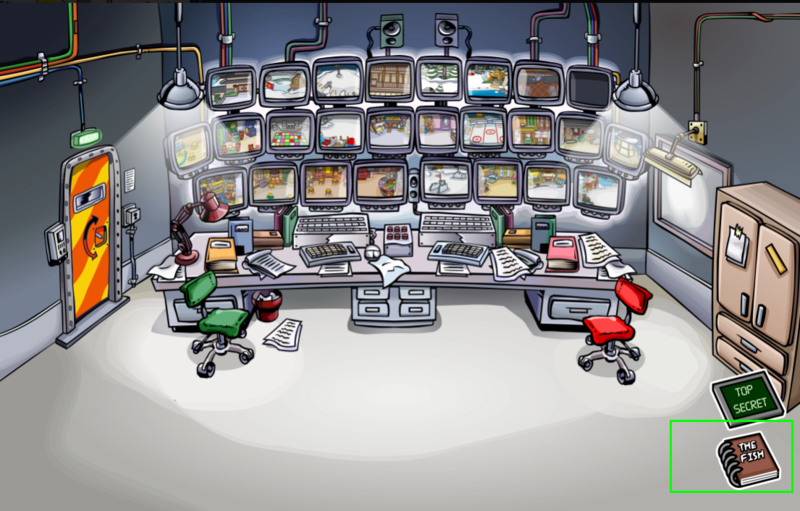 First off enter the everyday phoning facility in the ski village and go straight down into the EPF command room. After that take the tube transport down into the HQ and click on the F.I.S.H in the bottom right corner. Next you will have to acquire the red cape. 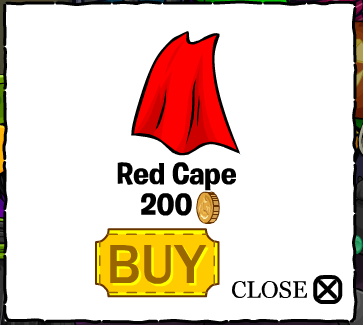 The red cape is located in the penguin style catalog on the 3rd page. 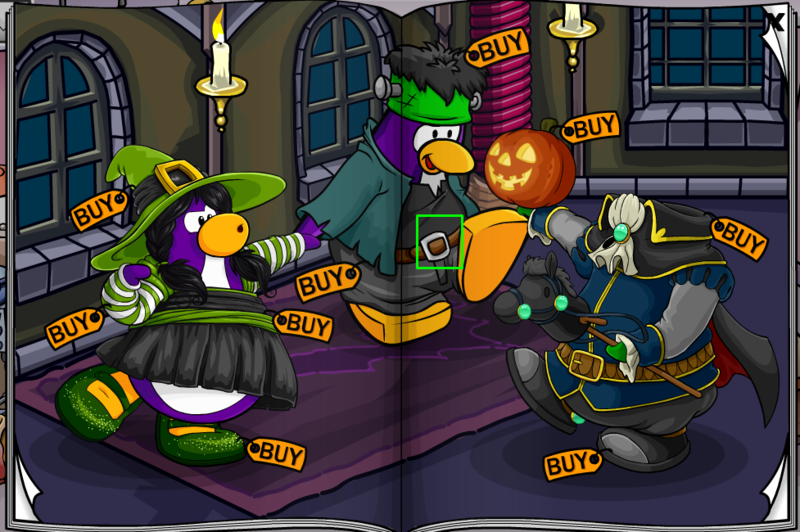 It is hidden on the belt buckle of the Frankenstein penguin in the middle and costs 200 coins. 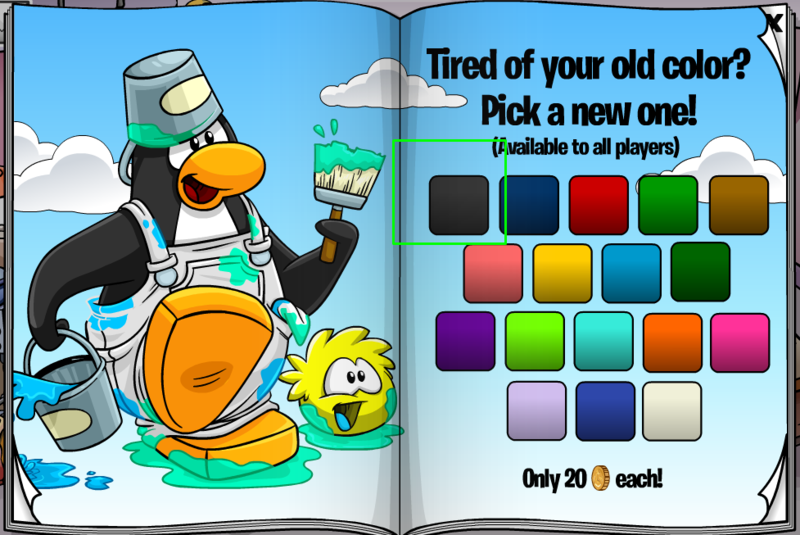 The last item you will need to buy is the black colour which is located on the first page of the penguin style catalogue and costs 20 coins. Altogether the uniform will cost you 3620 coins, not including the price for any extra shoes you might want to buy. If you don’t have enough coins to buy the uniform, cart surfer is one of the best games to use for coin collection. Once you acquire all stamps the coins you receive will double making for a quick and easy way to gain coins. If you prefer a less active way of gaining coins you can also slap on a mining helmet and jump into the mine where you can mine for coins with your jackhammer.